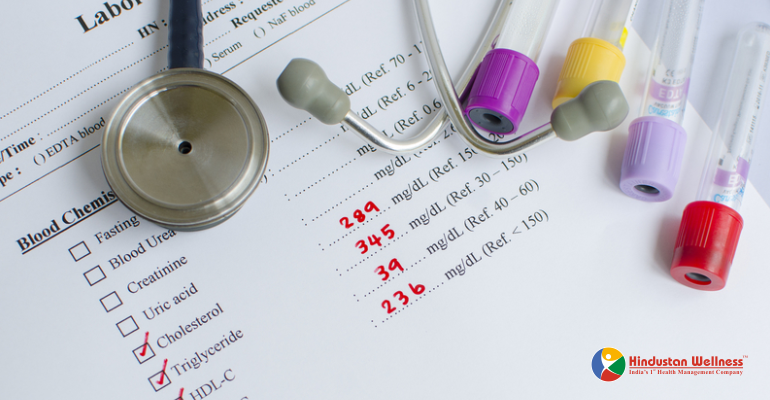 What are the lipid tests? Why are lipid profile tests necessary? What does this test tell about our health? We often want to know the answers to these and many other questions. In today’s fortnightly life, more people suffer from cholesterol problems. The lipid test helps us to measure the level of cholesterol in the body and provide the right information for health. Lipids are essential for our body and play a very important role. A lipid is a group of biological molecules that contain fat, oil and steroids. Lipids are also known as hydrophobic molecules. Cholesterol is present in our blood and the body uses it as energy. If the lipid levels in our body become very high and unbalanced, then they make plaques in the arteries. It can obstruct blood flow and also increase the risk of cardiovascular disease and stroke. If your doctor or you are worried about your cholesterol, then you must have a lipid blood test. Lipid test lipid profile (including cholesterol and triglycerides) is a blood test. Which is used to measure the total amount of fatty substances in the blood? This test measures total cholesterol, HDL (good cholesterol), LDL (bad cholesterol), and triglycerides. Let’s understand this in detail. There may be many problems due to high blood cholesterol content. It creates a layer of plaque in the arteries and inhibits the flow of blood. Large cholesterol increases the likelihood of having a heart attack or stroke. Total cholesterol less than 200 milligrams per deciliter (mg/dl) is considered normal for adults. Labels between 200 and 239 mg/dl are considered to be border lines and up to 240 mg/dl are alarm bells. HDL is also called “good” cholesterol. It helps in extra cholesterol removal from the arteries. High levels of HDL can reduce the incidence of coronary heart disease. The level of HDL should stay above. The risk of heart disease increases when it is less than 40 mg/dl. From 41 mg/dl to 59 mg/dl, the boundary line is considered. While the HDL level of 60 mg/dl or higher is considered ideal for adults. LDL is known as “bad” cholesterol. It mostly receives fat and some amounts of protein in other parts of the body from the liver. Increasing LDL increases the chances of developing heart disease. The level of excess LDL can be the result of inactivity, obesity, and type II diabetes. The range of triglycerides is 30 – 149 mg/dl. The boundary line levels are between 150-200 mg/dl. Levels higher than 200 mg/dl are considered high. Increasing triglyceride with LDL cholesterol increases the chances of getting heart disease. VLDL is considered to be one type of bad cholesterol which produces cholesterol in the arteries. There is more of triglycerides in it. Normal VLDL levels range from 0 to 40 milligrams/dl. There is no way to measure VLDL so it is usually estimated from the percentage of triglycerides. LDL: HDL ratio is very important as LDL is important in predicting both HDL cardiovascular risks. The range for this ratio is below 5: 1. A person over 45 years of age or a woman aged 55 years is required to perform a test every 3 months. Get your cholesterol checked on time and live a healthy life. NextDo you know that cardiac arrest and heart attack are two different diseases?